To celebrate it’s 110th anniversary, La Cornue is venturing into an audacious and modern collaboration to transform six of its masterpiece Château 150 models into works of art. 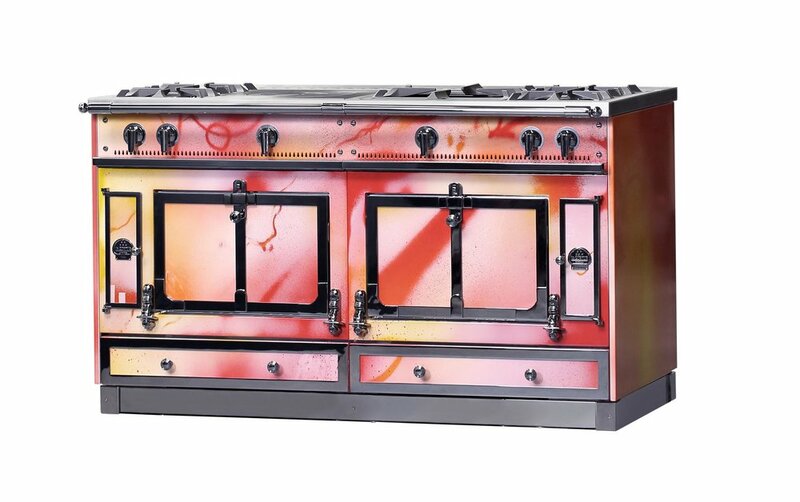 For La Cornue, Kongo has transposed his language and signature graphics onto the cooker enamel, bringing a whole new way to express himself and his repertoire and creating a brand-new aesthetic for the cookers. It took over a year of dialogue between the two parties to bring this unprecedented worldwide collaboration to life: six exceptional cookers that truly express both traditional expertise and modern graphic styling. Whilst the six cookers form a coordinating set, each one is a masterpiece in its own right. With beautiful colours, various thicknesses of enamel produced through several stages of firing, and graphics created using a stylus pen, the eye is drawn to the materials used. The intricately precise design and details make these pieces true works of art. 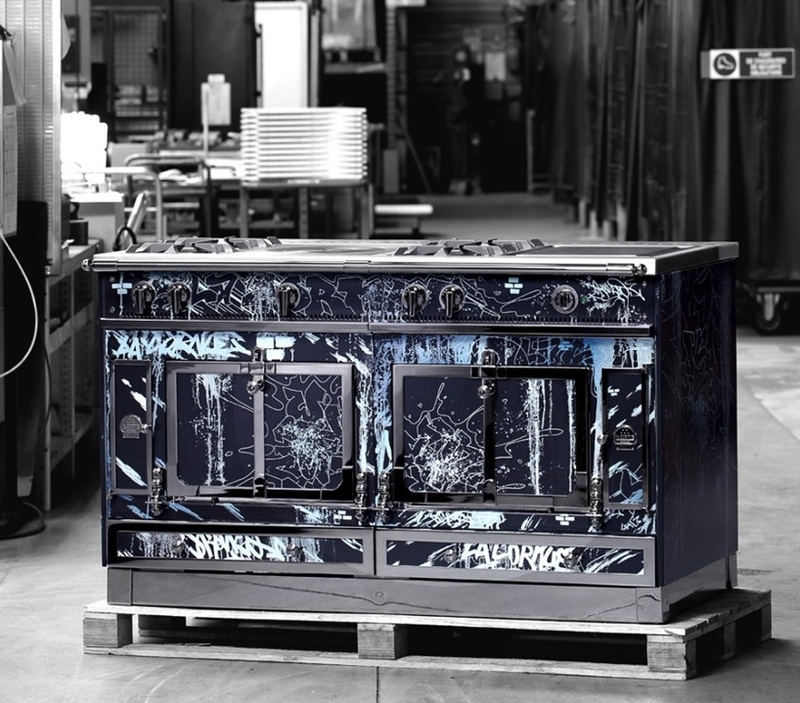 To highlight the unique, limited nature of this collaboration, each cooker bears the artist's signature on the left-hand brand plate, whilst the year 2018 is inscribed on the right-hand plate. Cyril Phan, otherwise known as Kongo, is one of the world’s most recognised French street artists. Renowned from Paris to Dubai through to Hong Kong, associated with Hermès, Richard Mille and Daum, his unique style has led him to work with the very biggest names in art and luxury. As an artist with no boundaries or limits, he shares the same essential values as La Cornue: a desire for excellence, precision movement and a quest to pass on expertise. Kongo is an artist motivated by his audience, best known for injecting unexpected colour and life into urban environments and collections. His paintings have been displayed in the Grand Palais museum in Paris as well as national museums globally. For his partnership with La Cornue, the artist swapped his linen canvases for six La Cornue Château 150 models and turned them into one-of-a-kind works of art inspired by his vision of the six distinct regions where La Cornue is sold: Paris, Europe, Asia, Australia, the Middle East and the U.S.A. The collection premiered in Milan, followed by Paris, the home of both the brand and artist. Almost immediately, the Paris-inspired range was sold for £230,000 — meaning art enthusiasts and fans only have five works left to claim. La Cornue beginnings started in the heart of Paris when Albert Dupuy fuelled the flame of elite cuisine. It was there that Dupuy premiered the world’s first convection oven with a vaulted ceiling to usher heat around the food, rather than trapping it to burn beneath as was the tradition at the time. The oven would draw upon the city gas lines that were winding their way to homes and street lamps throughout Paris. He would name his oven La Cornue after the French term cornue — the system for refining the gas that warmed the new creation. Today, each Château range and range top continues to be hand-crafted, engineered, built, refined, tested and polished in the La Cornue atelier in France by skilled artisans. To honour this milestone, it collaborated with Kongo to remind the world that — with or without an artist’s paint — its ranges are more than culinary tools. They are pieces of art. Every La Cornue is built to order by hand using materials chosen for their quality and longevity. As the main agent for La Cornue in London and the South East, we can help you select the perfect range cooker for your Figura kitchen, including specifications, fuel source, colour and trim. Naturally, we can also organise delivery and installation, too. Visit our Chiddingfold showroom and you can see the stunning new Château 165 G4 in brushed stainless steel with customised polished copper knobs and trim we have on display. 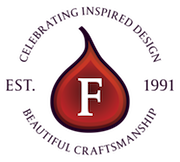 You’ll be able to see for yourself why La Cornue and Figura are such a good fit; we share a passion for craftsmanship and a commitment to beauty in every detail. If you are considering a La Cornue appliance for your home, please get in touch with Figura to discuss the options.